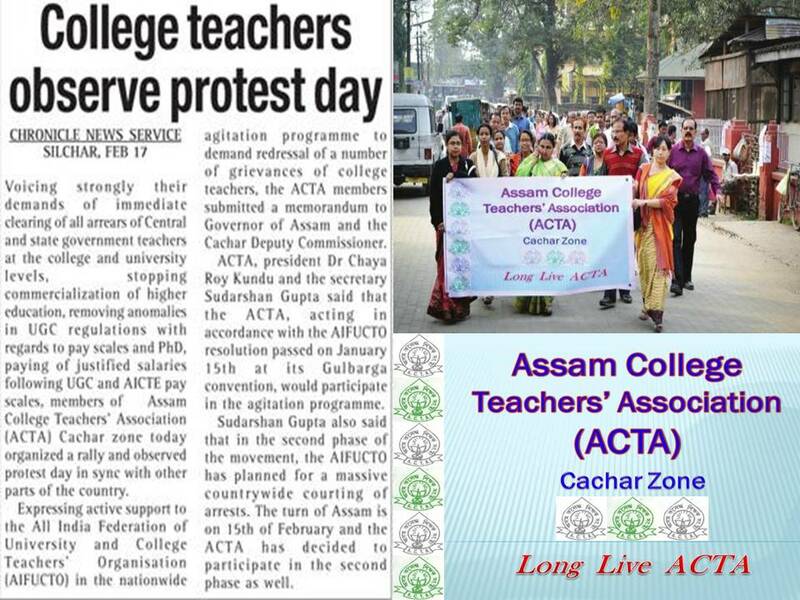 Assam college Teachers' Association (ACTA) came into existence in a convention of about 40 teachers of non-government colleges of Assam held in Nowgong College on 26th & 27th February, 1949 under the presidentship of Prof. R.R. Thomas of Cotton College, Guwahati. At present more than 7500 teachers of 189 provincialised colleges are the members of this association. The Constitution of ACTA, which was framed in 1960 came into force in 1961. However, the constitution of ACTA underwent a major amendment in the 51st Annual Conference held at Gargaon College from 25th to 27th April, 2003. following this modification, Zones were formed. So, ACTA now is a 3 tier organisation with the Central Executive Committee (CEC), Zonal Executive Committee (ZEC) & the Units. As such, ACTA Cachar Zone was formally set up in 2003 in a special meeting which was held at Nehru College, Pailapool. © 2013. Secretary, ACTA Cachar Zone, Silchar, Cachar, Assam. All rights reserved.